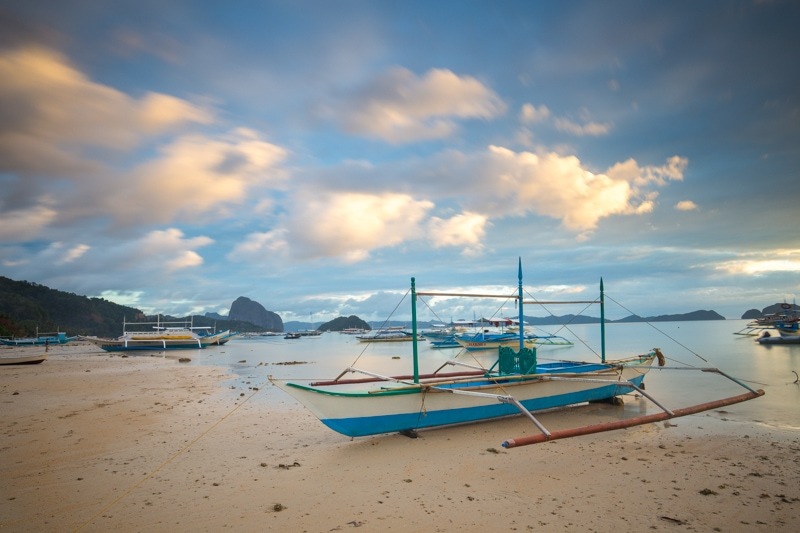 El Nido, on Palawan Island, is the place I was most excited about seeing on my Philippines trip. I first learned of the area back when I still had my travel magazine, and an article on this “off-the-beaten-path” but “up-and-coming” destination was submitted. 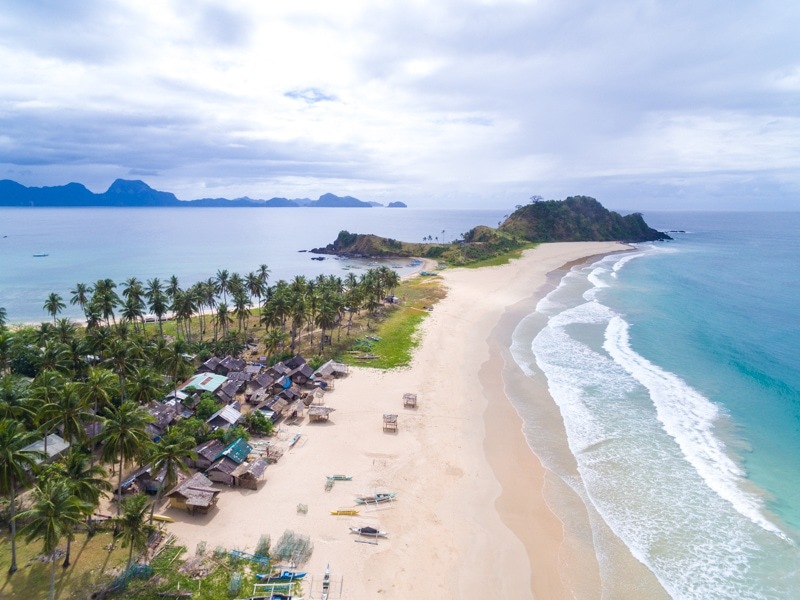 Of course, these days it’s far from off the tourist trail, and instead a mainstay on the backpacker trail in The Philippines. And, for very good reason. 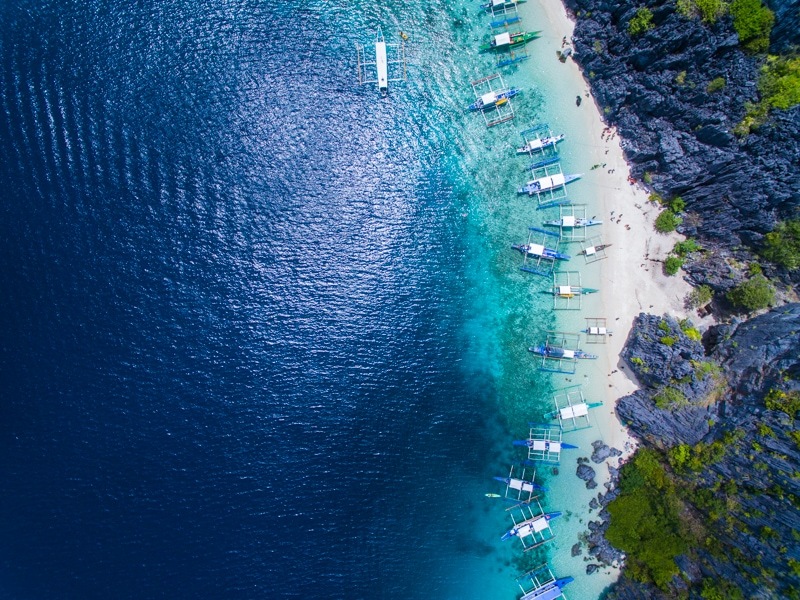 El Nido is next level beautiful. 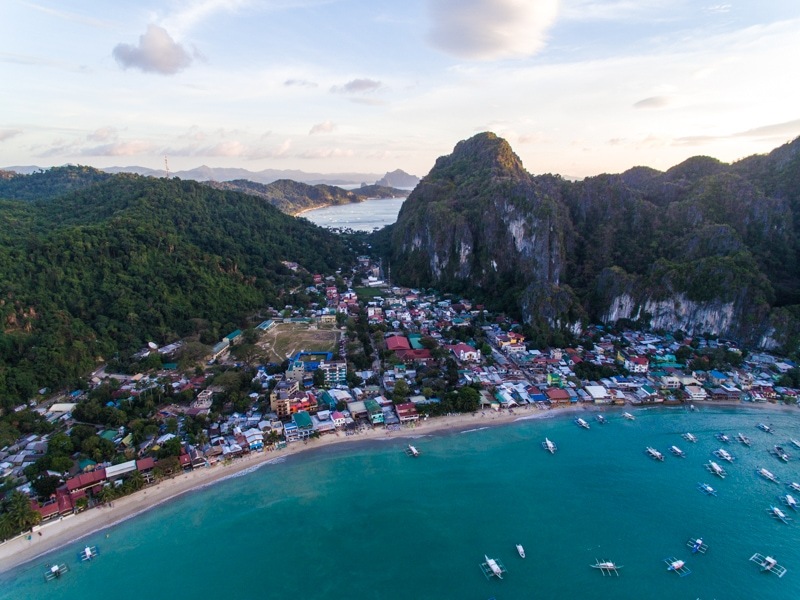 I spent almost a full week exploring El Nido and area and it blew my mind almost daily. After some pretty hard travel over the past month, I needed a day to kind of chill out and organize things a bit in El Nido when I arrived. So, I hung out, ate some good food, and enjoyed the beach views. Of course, I also got the drone up in the air. One of the things I love about the drone is how it gives you a bird’s eye view of a location even if there’s no mountain to climb to get it. I think the drone footage really shows how spectacular this place is. Honestly, my tour A journey got off to a bit of a rough start. I’m almost positive that my crew was hungover, or still a bit drunk from the night before. The captain showed up to the boat an hour late, and that pretty much set the tone for the day. Tour A was so busy that it was hard to get the boat parked in places we were meant to visit. So, we spent a lot of time waiting around. On top of it, because we were so far from the places we were meant to visit we were told we had to rent kayaks to get to them, something no one told us before the trip started. Of course, if your boat was parked close, you could just jump out and enjoy the location. That said, the places we visited on Tour A were spectacular. The limestone landscape and the clear waters are simply incredible. I do have to say something negative again, though. To get to “the secret lagoon” we were told to walk over the coral. The coral in that spot were all dying as a result. That’s something that can’t happen. You can’t have tourists walking over corals, killing corals, just to get to a lagoon. The government needs to build an apparatus to get tourists over the corals safely, or stop allowing tourists to visit there. At the end of the day, Tour A was a nice intro to the islands of Palawan. But, I was left a bit worried that all the trips were going to be extremely over-crowded like this. I had originally planned on doing another tour on this day, but I decided I needed a break from the tours and to go off exploring on my own. So, I rented a scooter and planned on going around location scouting and photographing some spots in Northern Palawan. I headed first to a place called Nacpan Beach. This is a long beach with a lot of space and sand to layout on. Definitely a quieter vibe than in El Nido. I spotted a hill and thought that I’d head over to climb it for some shots, but there’s apparently a land dispute so there was no one allowed over there. Instead, I flew my drone. The drone showed an incredible landscape above the beach they call “twin beach”. I would have loved to get over there and photograph it properly. But, the drone shots would have to suffice. Afterwards, I found a broken up concrete pier where I played around with some long exposure photos. 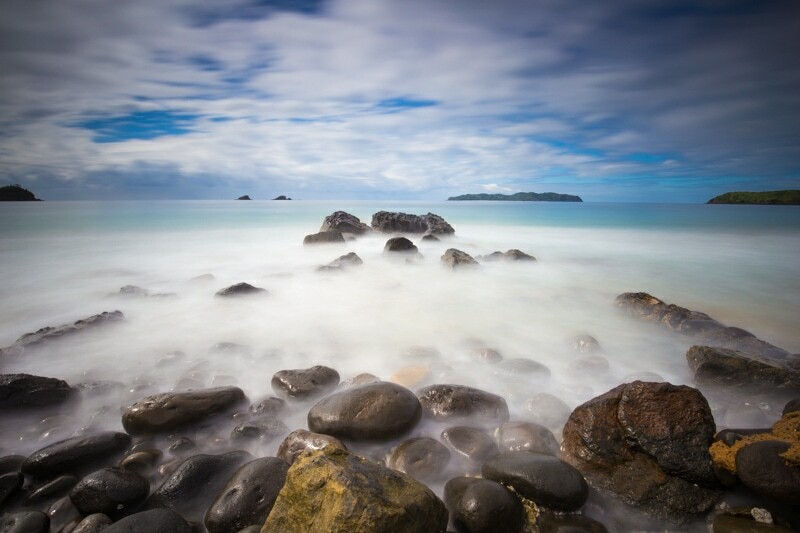 Long exposure shot on Nacpan Beach. Unfortunately, I started having some camera gear issues. I think, which are a result of a little bit too much sand in the camera. So, I headed back to El Nido to try to solve the problem and wait out a thundershower. Then, just before sunset I drove my scooter out to a place called Corong-Corong Beach which proved to be an amazing spot for some sunset shots. Boat on Corong-Corong Beach. That sky! Just a perfect sky on Corong-Corong Beach. After being skeptical of the tours after the so-so day on Tour A, I jumped on Tour C. And, thankfully, the experience was night and day. 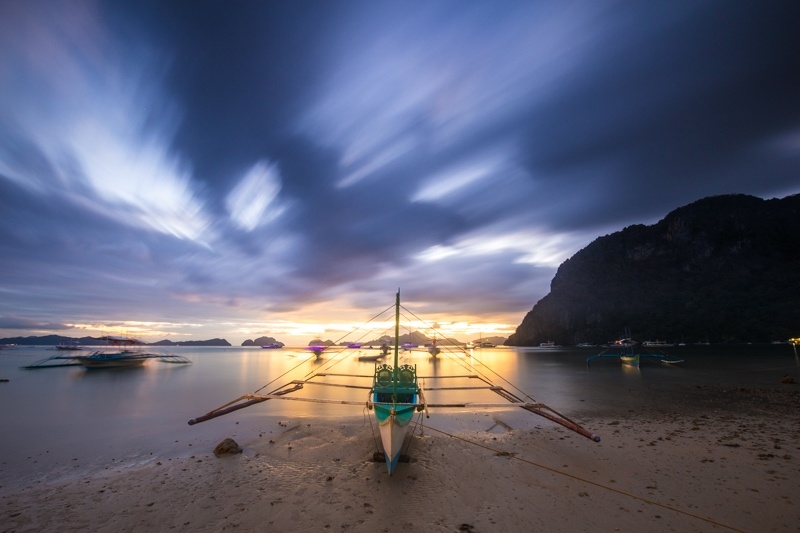 We were the first boat to leave El Nido, our crew was extremely good and very professional, and there were few other boats out at the attractions. It might just have been a busy day when I went on Tour A, or it could just be that most tourists, like myself, just book Tour A because it’s the first so it’s always more crowded. For me, the locations on Tour C were much more interesting as well. We visited the hidden beach, the secret beach, and hit up some really fantastic places to do some snorkeling. Honestly, it was the perfect day. I had a lot of fun shooting drone photography on Tour C as well. This was my favourite aerial image. A island beach from above. My last day in El Nido was extremely chilled out. I just hung out in town, laid on the beach, and got some work done back at my hotel. Then, around sunset I decided that I probably needed to go for a bit of a walk to get out a bit. And, of course, I brought some of my camera gear with me. And, of course, in classic Brendan van Son style, I forgot something: my filters. Still the light was so perfect it really didn’t matter that I didn’t have my filters. And, in the vlog for the day I did a bit on editing at the end where I show you how I blend two images together in photoshop to get around forgetting my filters. Obviously, I’m way behind on the blog. 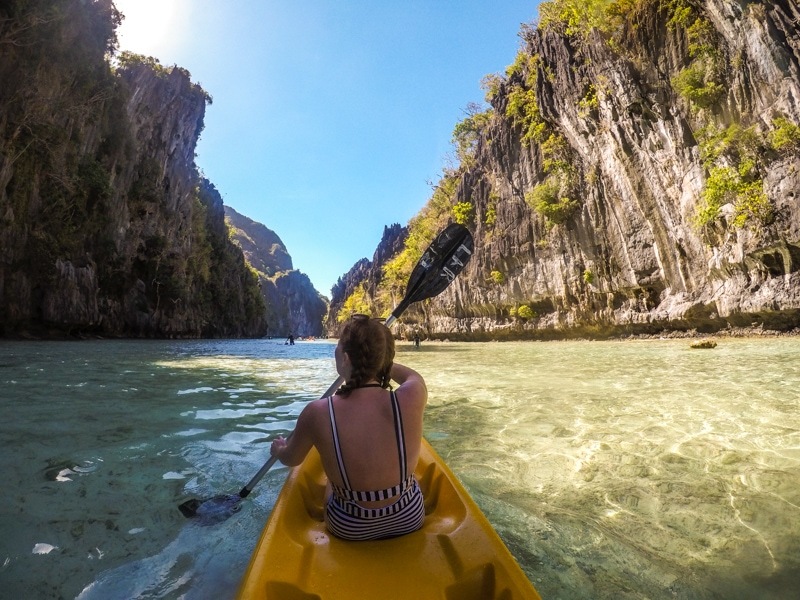 If you want to see what I’ve been up to since El Nido, head over to my daily vlog. As for the blog updates, I’ll have one last update from The Philippines, an update from Berlin, and then it’s on to Argentina. Did you get a chance to go scuba diving while in the philippines? Ive always wanted to go diving there but havnt had the chance yet. Someday soon hopfully! 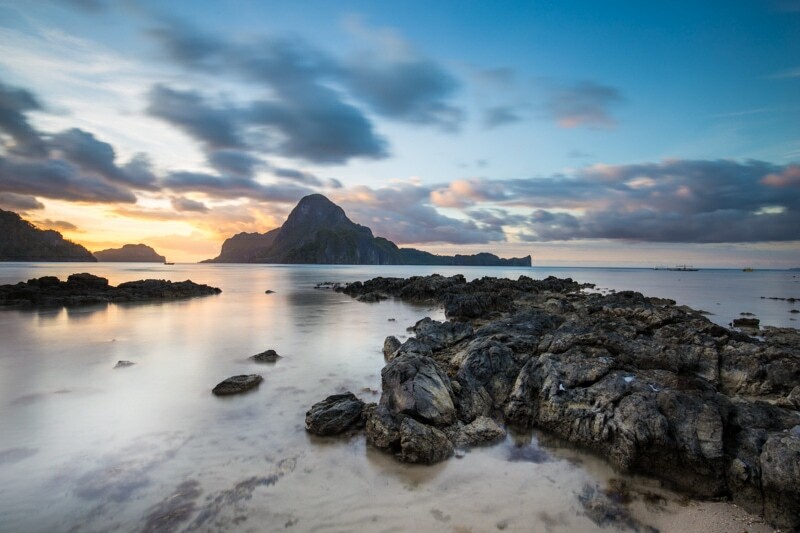 El Nido is breathtaking and spectacular, Brendan!